▪ Oil painting is a great challenge, journey and quest. Sometimes it is just a dark mist, in which flashing bright spots, and sometimes it is sunlit landscape enriched with colorful portraits and wild horses. It also changed for centuries within a very restrictive two-dimensional epochs and it is still interesting. Each artist carries the secret of its existence. The question is to what extent this mystery can be known in his works. The blank canvas is the biggest challenge for him and does not leave him alone until it is finished, the challenge to head beyond the visible and the real, to look for the mysterious meaning of a spiritual adventure in a multitude of symbolic elements. 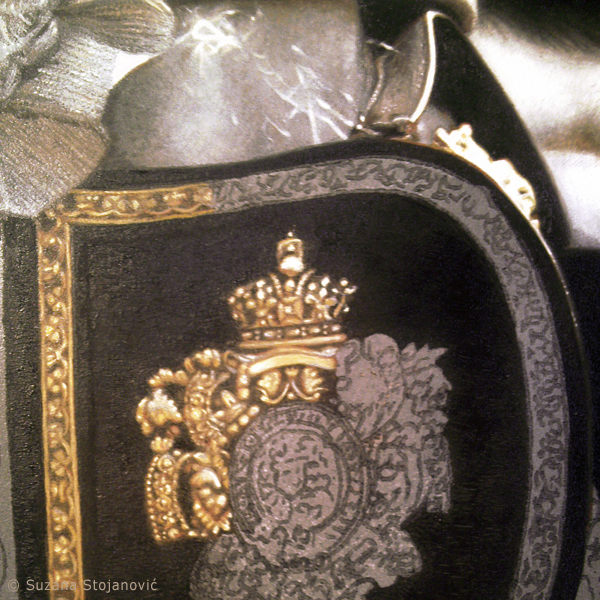 Suzana Stojanović found the meaning of her creation in the revival of everything that surrounds her. She synthesizes all her sources into a unique style that unites natural and supernatural, reality and imagination, learning and spirituality. 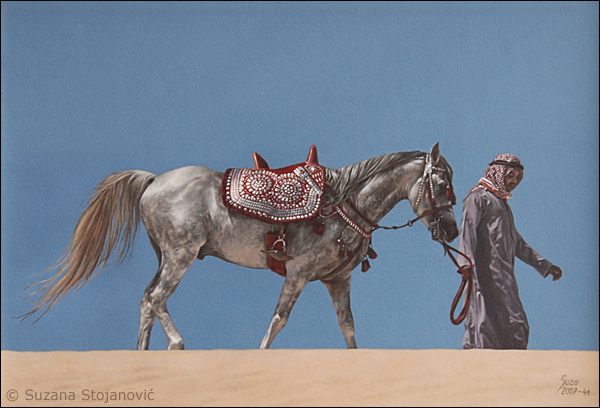 Her oil paintings on canvas include three motifs: horses, people and landscape. She, often, combines all three elements into one whole (image “Friendship”), because, in her opinion, this “holy trinity” is the pillar of our civilization, its development and survival. 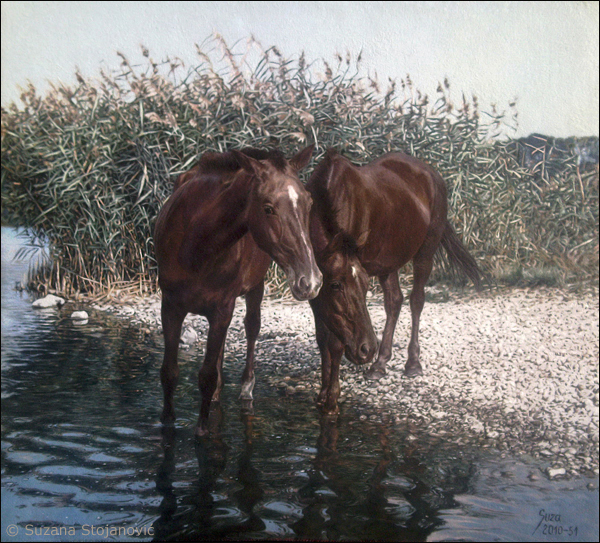 The muted tones in this work show serenity, not so characteristic of the works of other painters with a motif of a horse. 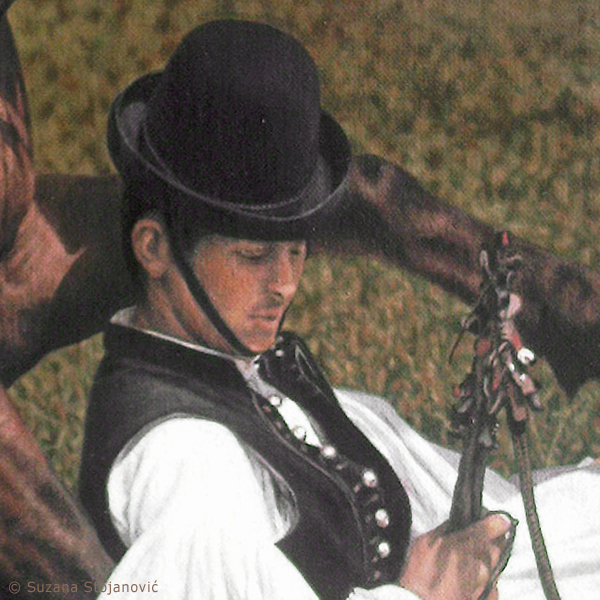 The artist shows the moment of breather and the natural, relaxed positions of the horse and the man who sits beside him. This oil is one of her most lyrical and harmonious works. 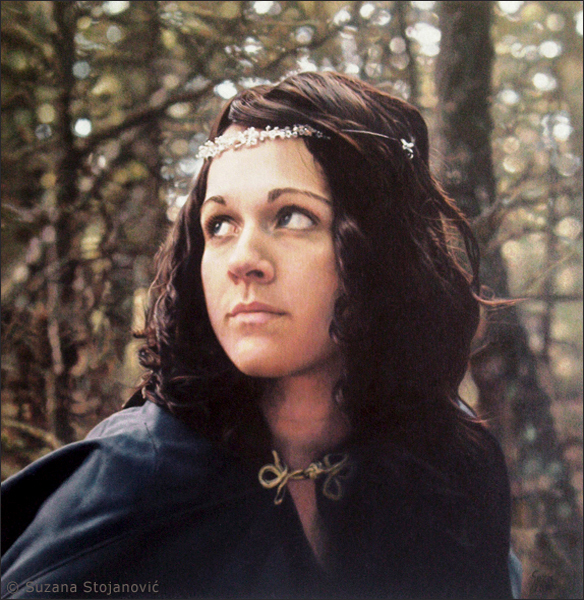 Suzana portrays reality with a special sensibility and faithful demonstration of all things, which she very carefully separated from the background with strict edges. This moment of sincere friendship, separated from untouched and unblurred bliss, turns into eternity. Every detail is permeated with peace and poetry. As we look at this work, it’s almost impossible to get rid of the impression that there is an old photography in front of us. It is so precisely shown each element of the composition that we constantly wonder how the artist so realistically managed to show the subjects and the space to which they belong. Not sparing, with her brilliant talent, she poured the poetry of details. 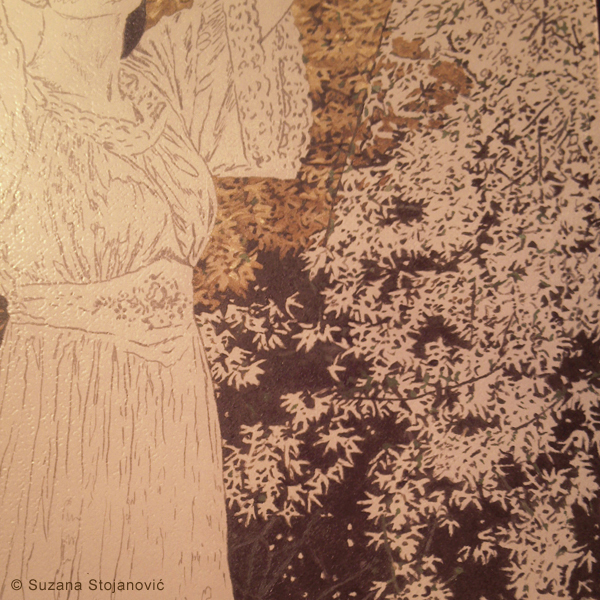 Suzana is considering nature as an inexhaustible treasure of emotions and phenomena. She is an opponent of the affected presentation of life and constantly strives for naturalness, both of colors and motives. An artist in painting goes her own way. 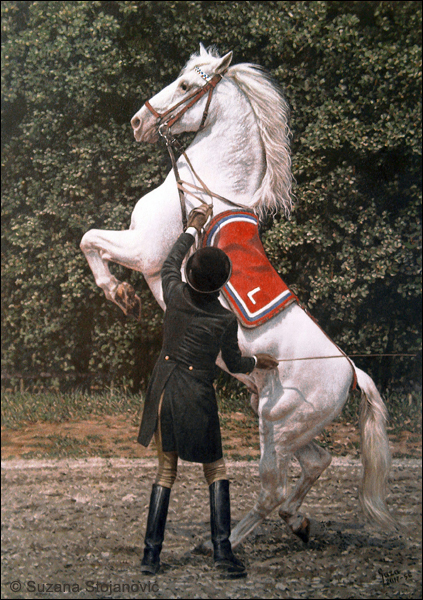 A lively horse on the canvas “Awakening” announces the beginning of some new searches and experiments. 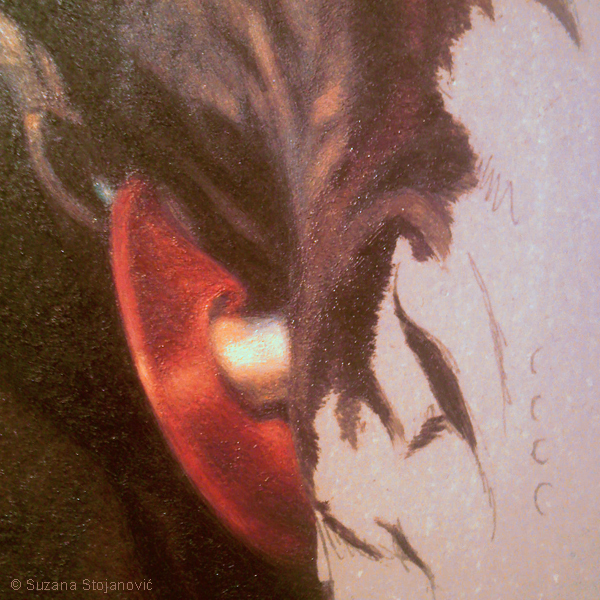 Despite modern trends and a growing number of painters who, because of faster and easier work, shift to acrylic colors, Suzana does not give up on the traditional, centuries-long easel painting, which begun now far away, year 1432. By virtue of the discovery of oil colors, the process, which enabled painters to conjure depth, light and brightness in the paintings and achieve the effect of glittering the eye and jewelry, was found. 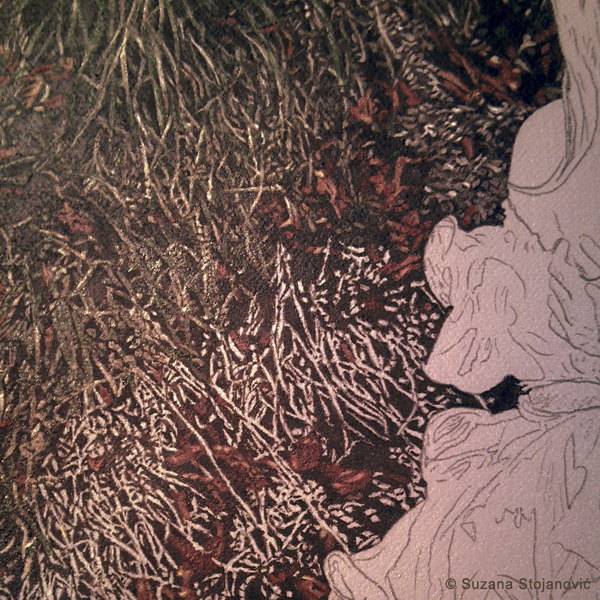 This process has created stable and unchanging sumptuous colors. By virtue of this technique, which has enriched many galleries with original achievements, easel painting became the music that accompanies us until today. 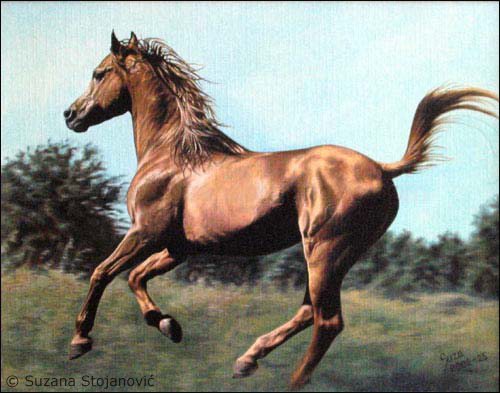 Suzana Stojanović uses the oil medium with excellent refinement. Alternating thick and translucent colors, she manages to, on her own way, give her paintings beautiful tones and soft, glittering brightness. 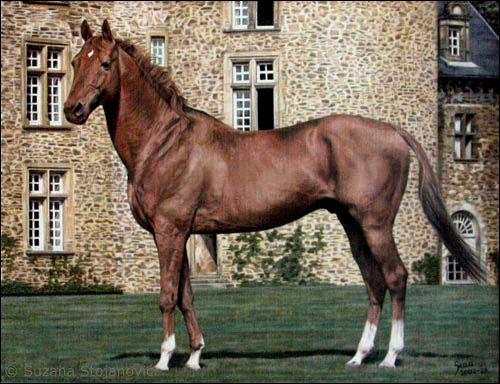 “The slow drying of oil colors allows corrections and different experiments which are very limited in other techniques”, says the artist. Each of her work is a studious research of reality and light. 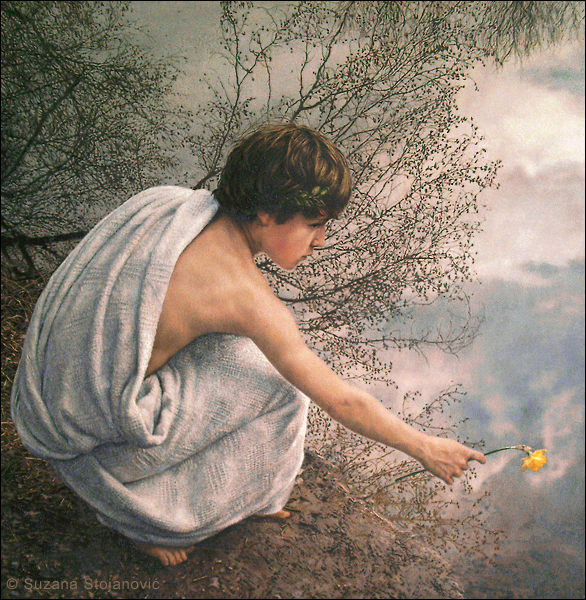 She does not strive for beauty and perfection on her canvases, but glorifies the spirit of naturalness and inner freedom, constantly moving between realism, romanticism and symbolism. 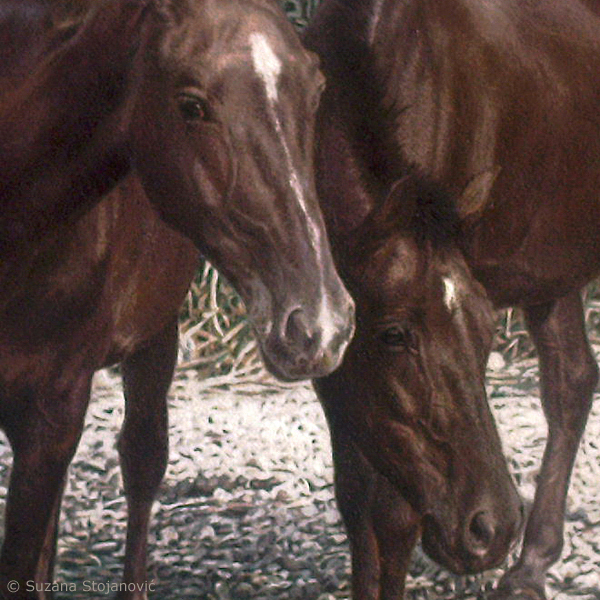 “Oil colors carry some miraculous energy that can not be reached by any other technique”, says the artist. Their power is evident in the painting “Prayer” in the materialization of the knight’s armor, the volume of his body and the depth of space. 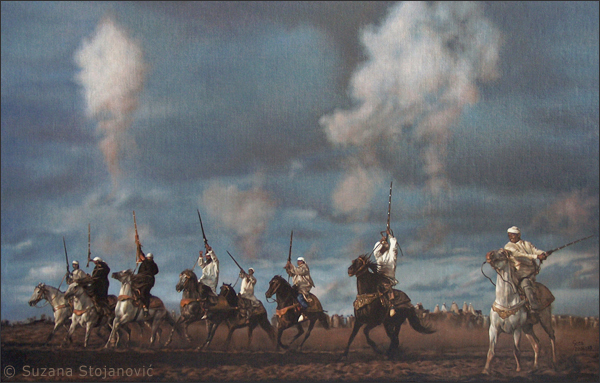 The palette is vivid and clear, and it implies that the knight believes in the victory for which he prays. 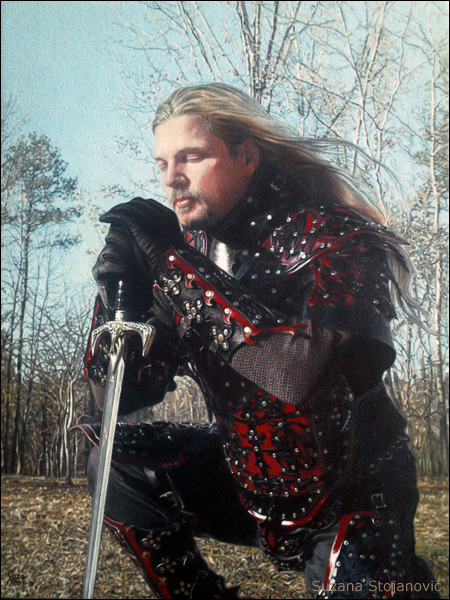 The fine lines of a young man’s face are contrasted with his impenetrable armor. 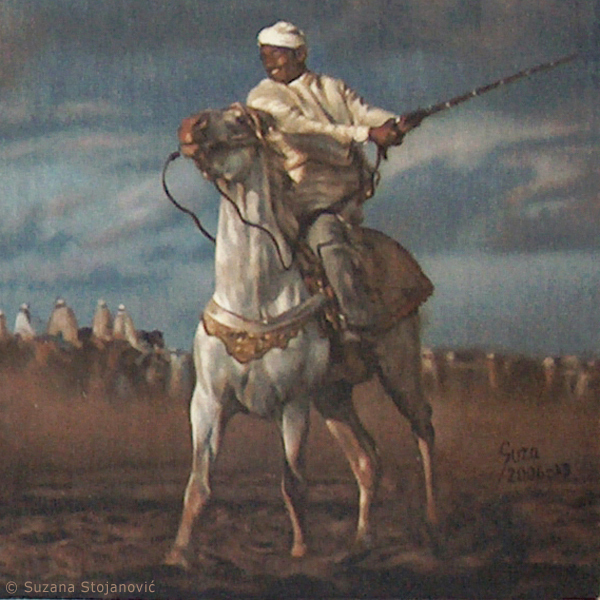 Everything is painted exceptionally carefully, even decorations on the sword, which absorbs the brightness of the sky. 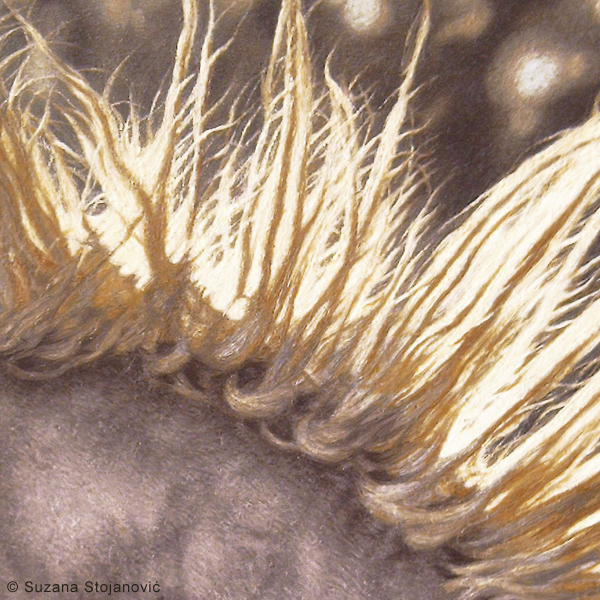 This work is just one of the evidence that metamorphoses associated with the shift of time of day and the shift of the seasons leave a profound impression on Suzana. Her works are full of light. 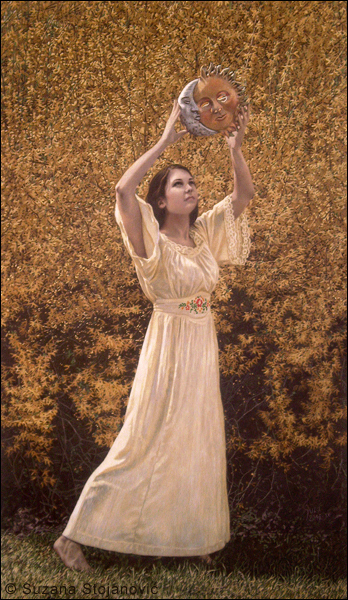 She applies the colors with light touches of the brush in the form of a smooth, homogeneous and slightly thick mixture. The artist works in several phases. First, on a tinted background, she does a detailed drawing, and then depicts the most distant objects, and the closest and most important she always leaves for the end. She creates a mosaic of small painted surfaces with precise movements and thus she makes it possible for us to feel the pulses of life on the canvas. Her expression is constantly changing. 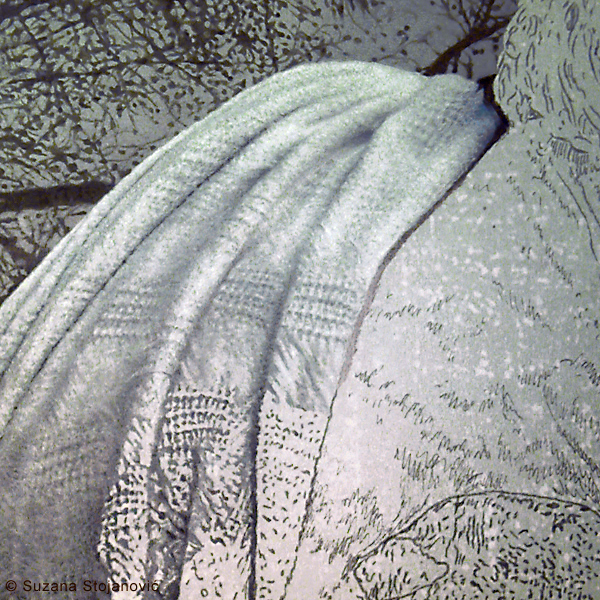 Coloring occasionally becomes a pastel thanks to the shades of gray and blue. 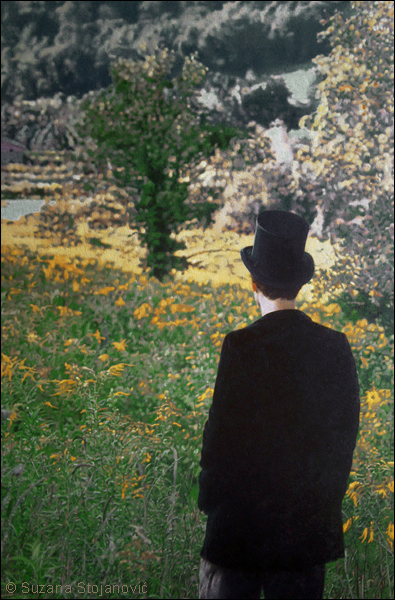 In her newer works, she avoids the black color, which was characteristic of her early period of creation. Still, life’s tiredness, permeated with occasional disappointments and melancholy in ash shades, leaves a trace in every one of her images and in every unfathomable view that is lost in the distance. Tendency to realism in the portrait the artist revealed in her childhood, when she often worked portraits of people around her, trying to discover in each one a specific characteristic line that would completely separate him from the group. Her portraits from the early days show not just the ideal look of the model (some of these oils remained hidden today behind the wardrobes) as opposed to later when in some cases those models are adapted to some aesthetic standards of contemporary society. The painting “Challenge” in which rarely any color missing is somewhere on the border between these two soils of experiments. It is characterized by freshness, the naturalness of the outer appearance of the model and the willingness of a young woman to cope with all the upcoming challenges. 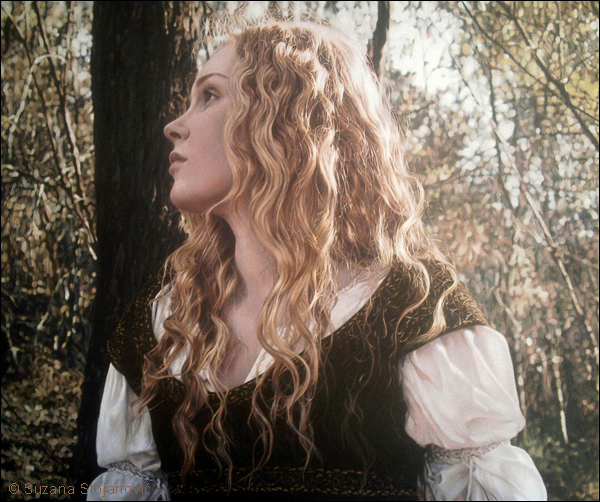 This canvas is just one of a series of confirmations that Suzana completely turns into natural light in her creativity, which may not be as attractive, effective and convincing as it is in the works of old masters (when the light, which comes from invisible and imaginary windows, illuminates only some parts of the face and body, and thus contributes to the mysticism and depth of the image), yet somehow emphasizes the vibrancy of the model and the openness of the space in which her models reside. “The challenge is to confront this environment in which a lot of details interweave and portray them all, without avoiding them, because they just contribute to the richness of paintings and experiences”, she says. Portraits on Suzana’s canvases do not dazzle too much with external effects as much as the depth of character and individuality. It is very difficult to perform a detailed analysis of her characters, to get to know their thoughts and feelings and to imagine their life path, but that is exactly what gives their appearance an unusual depth that arouses curiosity. Her portraits are discovering the power of her psychological analysis. On them is reflected personal stamp of the author. Every artist has an angel who shows him a light at work. It is sometimes an angel with wings that floats in the air, sometimes it is alive in some person, and sometimes it is completely invisible, we just observe it in the light. 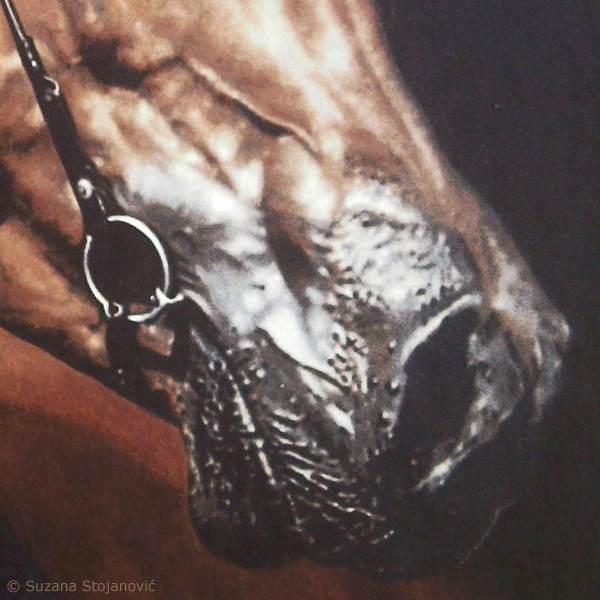 Suzana’s “Angel” is a collection of all this on one canvas. 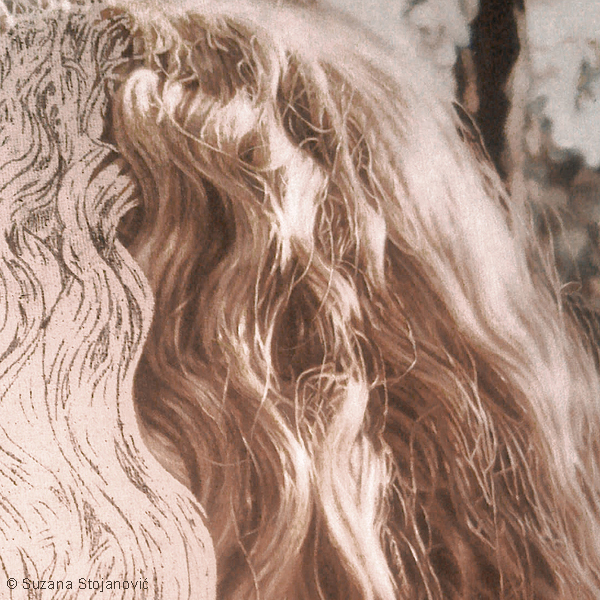 In gentle strokes of the paintbrush intertwined poetry of light, the beautiful face of the girl, and the wavy hair of the color of wheat, separated from the background filled with shadows. The content of the image is very mysterious. 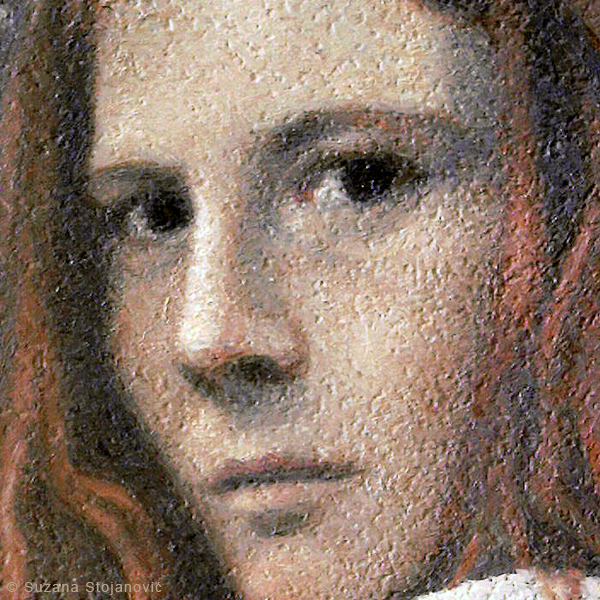 Naples’ yellow, present in the background of the portrait, gives some special tone to this canvas. A clear profile of the girl and obvious lines draw the artist into a new style. With this work, she has shown that she really can depict women, their beauty and elegance, and that she can be gracious, emotional and simple. 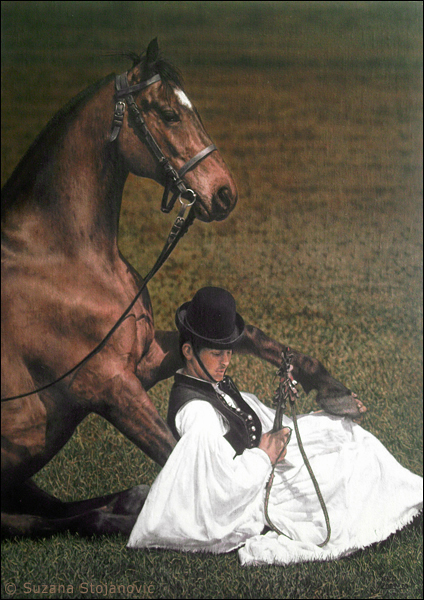 The theme of her oils moves from portraits and trees to meadows, horses and water. Each of these motifs Suzana presents different depending on the angle of observation, the time of day and the light. 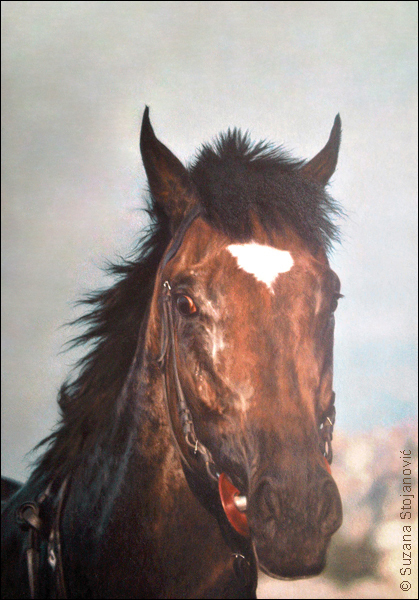 A horse as a subject of painting can not be fully perceived if the artist does not feel the feverish atmosphere in the races and its warmly desire for victory, when it is faster than the wind, when every vein on its body becomes an arrow that runs towards the goal (oil “Winner”). 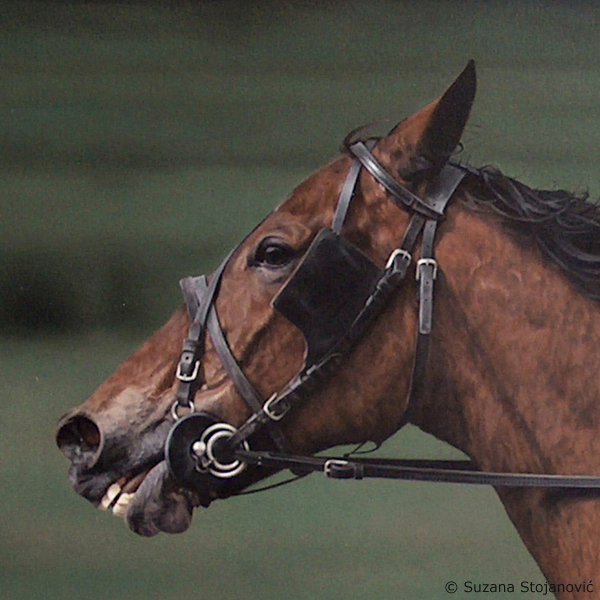 Suzana on this canvas is able to show the flash of equipment, to revive the horse and flame breath that comes out of its nostrils. Each detail is confirmed by her remarkable gift of observation. 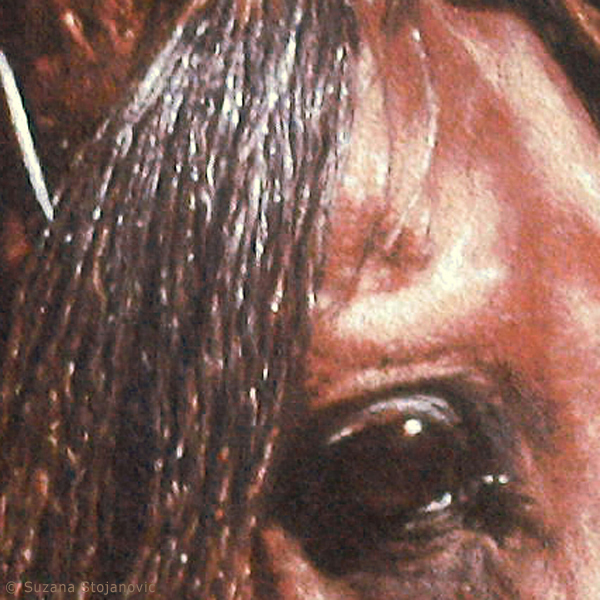 The impression is that any movement, even the smallest trembling of the animal’s muscles, did not miss her sharp eye. The multilayered painting, which is the result of a soft game of light, highlights the depth of the displayed space. Spilled contours of the pale green forest in the distance increase the speed of the horse. 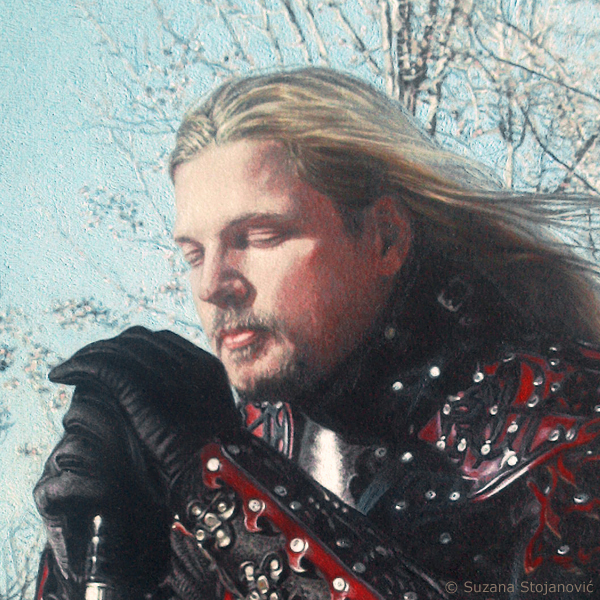 The dynamics of this composition point to one of the most important features of Suzana’s entire work - the artist can make masterful notes of a passing moment. 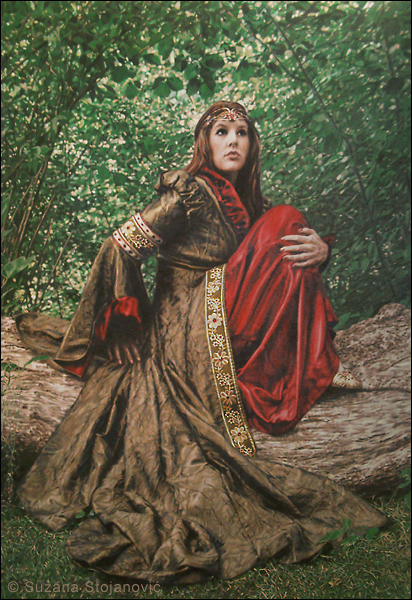 One of her most representative oils is “The King”, in which, in the opinion of many critics, the artist has reached a level that is very difficult to overcome, not only because of the technique of oil colors, but also because of the light effects and many other details that this work are placed at the forefront of her creativity. 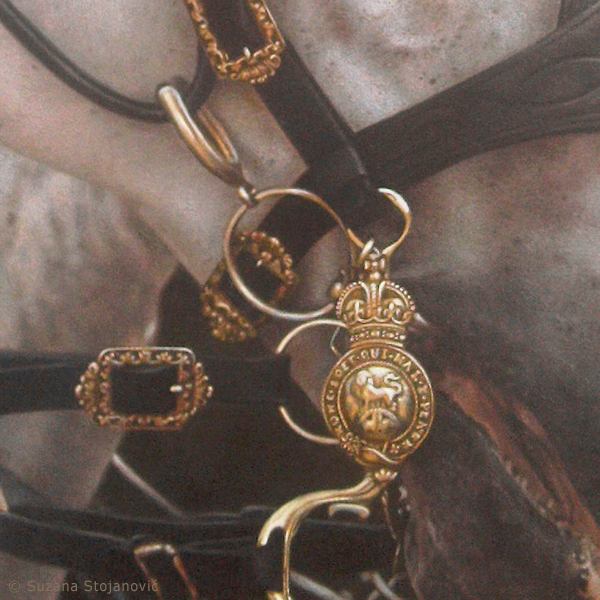 However, under dignity, obvious superiority and a multitude of details, being without a glance is hidden. 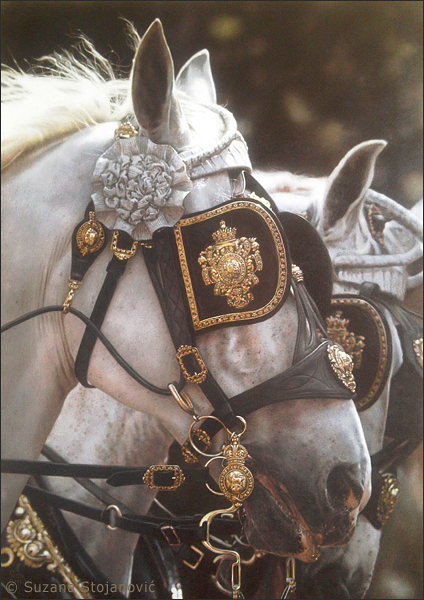 Aesthetic enjoyment at one point becomes a question: what is the life of this beautiful horse and his friend from the blurred background that serves the king? How do those who have no choice to choose their own way feel? Do they always hide their views because someone convinced them that humility and obedience are the main factors of survival? A unique “The King”, besides that it attracts the views with a fluttering mane and interesting golden equipment with which it is tasseled, leaves many questions to the observers. The answers to these questions can be revealed in a limited, yet rich palette between gloss and darkness, grayness and whiteness. 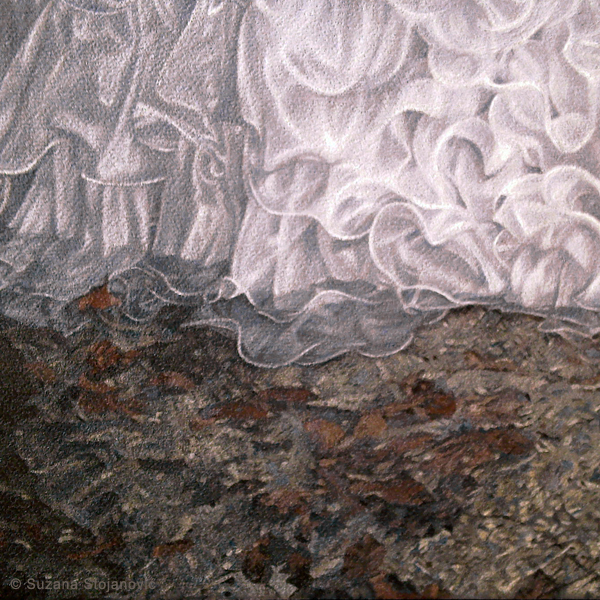 The change of palette is visible on Suzana’s painting “Bride” too. Cold colors, which prevail in a bride's environment, do not announce either joy or enthusiasm, but only a straight line interrupted by restless ruffles on a pale purple dress. This oil exhibits transience unique. 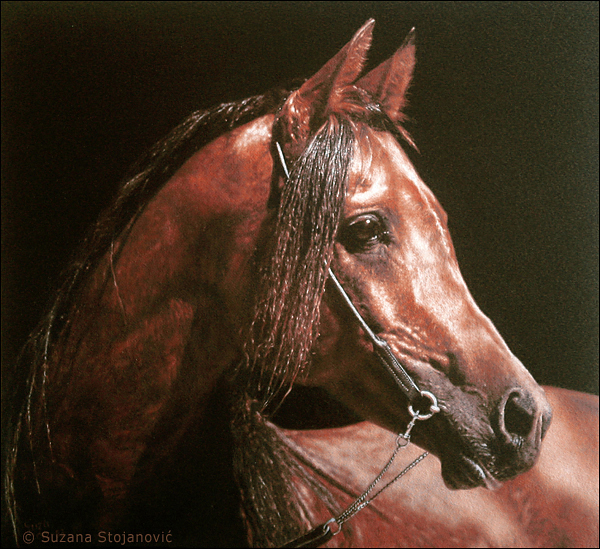 “The subject of painting can not be chosen, it chooses us”, says Suzana Stojanović. 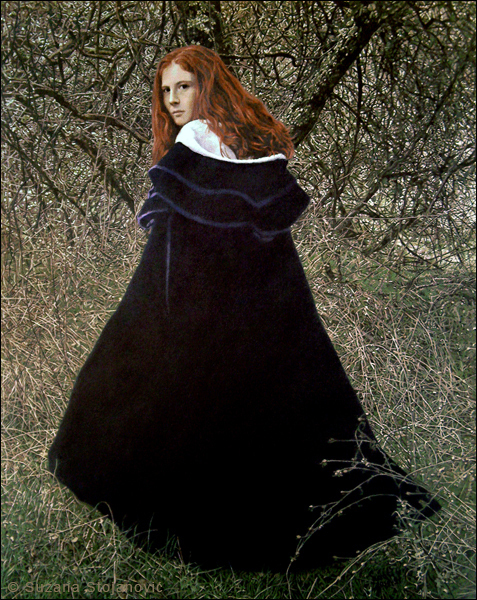 Her work, viewed as a whole, is based on the interweaving of realistic and symbolic layers (painting “Memories”). 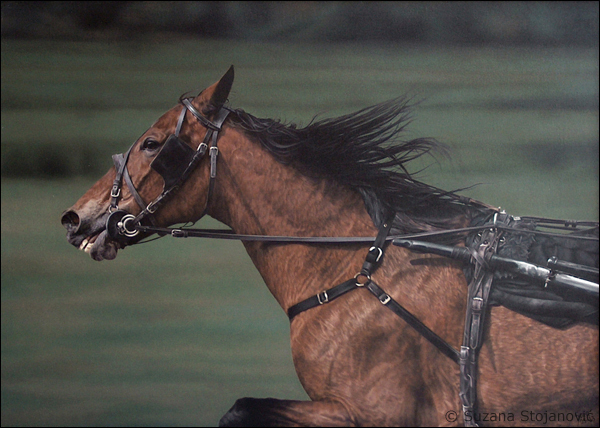 On her canvases, she shows a gift to paint horses, riders, portraits and entire human figures, calm by dignified mastering of movements, but at the same time very upset in a psychological sense. 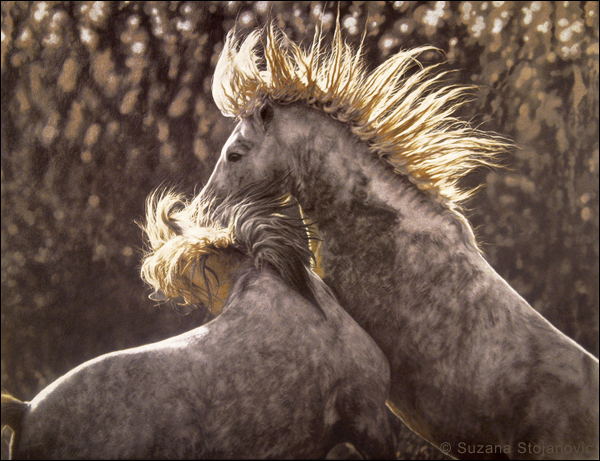 The artist is often left to the charms of faraway sunset, trees, sunny forests and horses with golden mane. 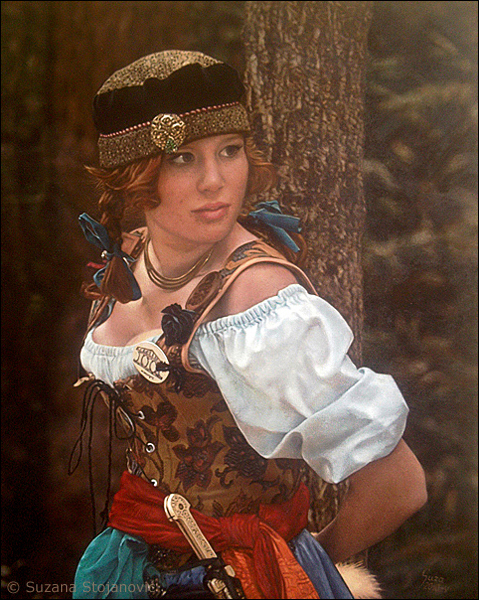 Decorations on the lavish clothing of her models and horse equipment are accomplices in some spiritual highness and spell, immortalized in glossy oil colors. The artist extremely carefully depicts every detail of the jewelry and costumes, which, applied with dense coatings of colors, spring from deep, translucent shadows. 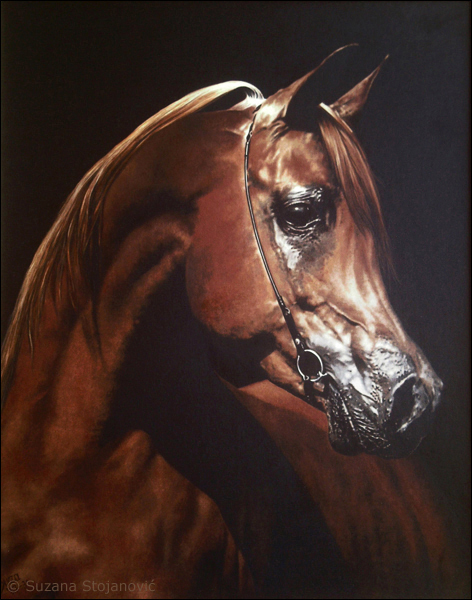 It, which gives value and durability to her canvases, is their strength, coherence and magnificence of the subject. 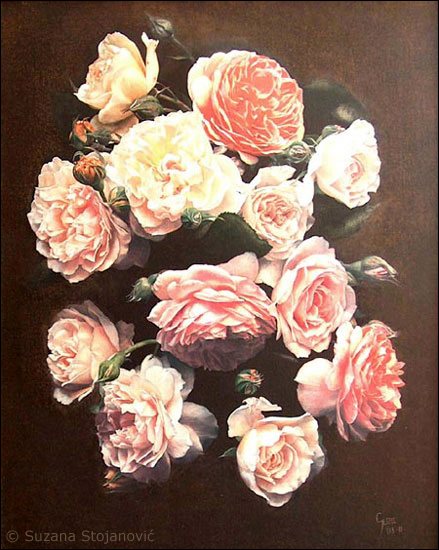 Whatever she is painting, she always confirms herself: both in landscapes, in portraits, and even in still life (oil “Language of roses”). 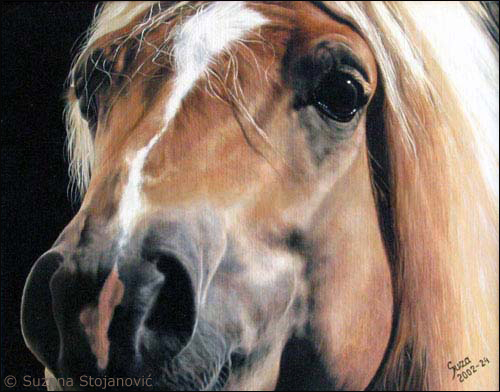 Coloring the lines, Suzana wrote a novel about the moments captured in vivid movements of the people and horses. 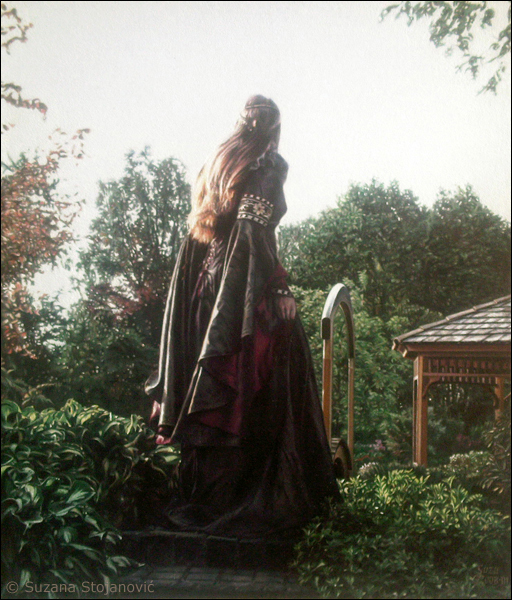 She portrays them with convincing naturalism. Her sensual personality is most prominent in the way in which she shows the beings, embodying her by becoming the creator of a certain sophisticated style and a culture that is not superficial. 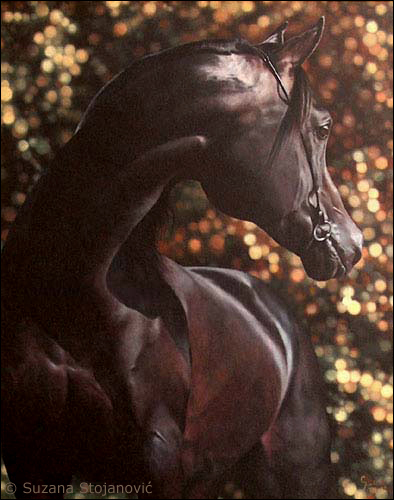 Her oil paintings on canvas are evidence of the full commitment of her as an artist. She does not like improvisation and her technique requires time. 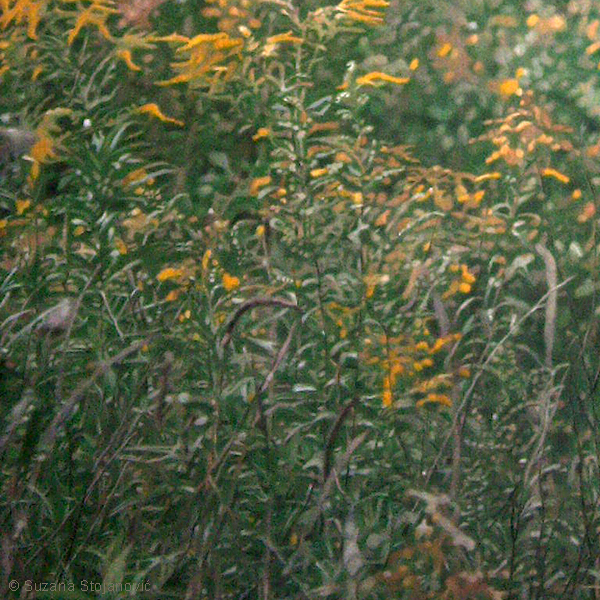 By applying thin layers of colors, in order to get the necessary airiness in some parts of the image, she has worked on her canvases for a long time, constantly improving her forms and experimenting with different pigments, creating an impression of unusual wealth, sophisticated and new, until then unknown colors. She chose this method to bring her visions and thoughts closer to people. “With the help of colors, the thought gets shape”, says the artist, for the reason she chooses oil colors for work because she thinks that she can express almost everything she wants: sadness and joy, light and darkness, coldness and warmth, love and suffering, existing and nonexistent. She listens only to her own instinct and deals exclusively with what she is interested in, both in life and in creation. She is in a continuous quest for color, which is not always directed towards a realistic view. 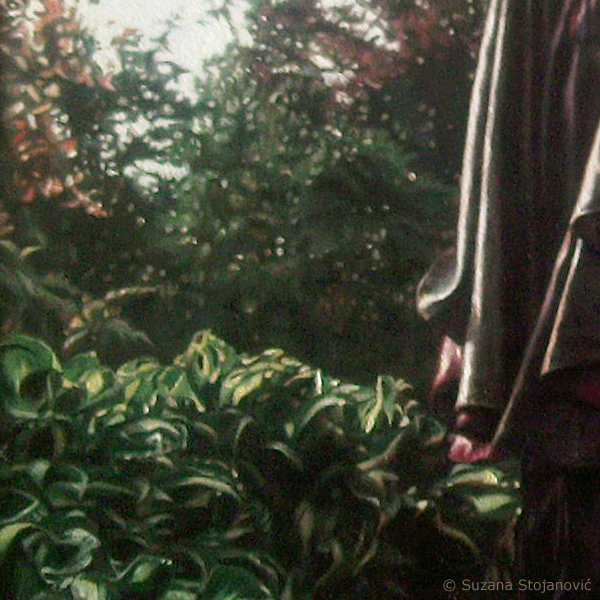 Suzana allows herself occasional exits from the frame of realism, and thus connects observers with her spiritual experiences. In her gallery of different styles and expressions there is a splendid panorama of interesting works, in which every canvas is woven out of the experience. It is an expression of the search for meaning, floating the inner reaches, adventure, and a mixture of different characters and situations. From the ascent of imagination, the moment of inspiration and the move of paintbrush, the satisfaction of creation is born, full of surprises. 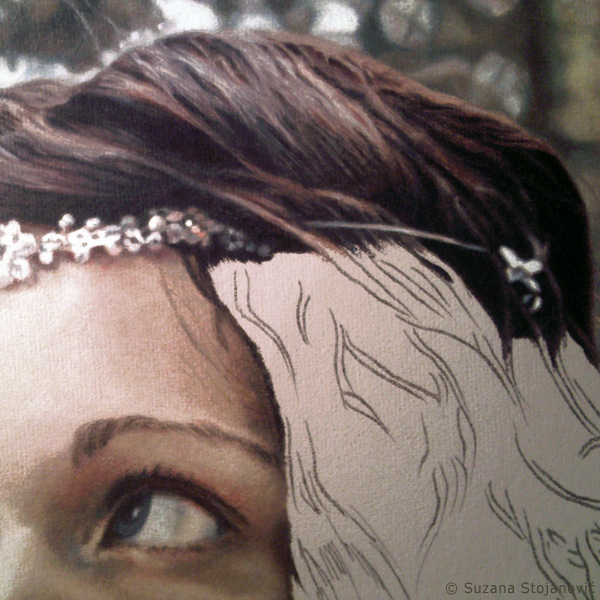 Working with oil colors is complex, and, in many ways, mysterious human activity. Every human being sometimes feels the need to touch the unknown, to create something original. 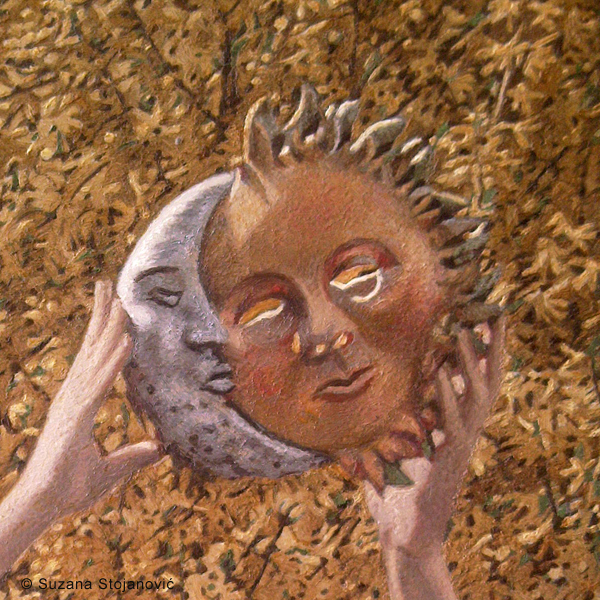 Artists are the only beings who can explain their fantasies and experiences through their works. They allow them to present their sighting of the universe as it can not be expressed by other means. 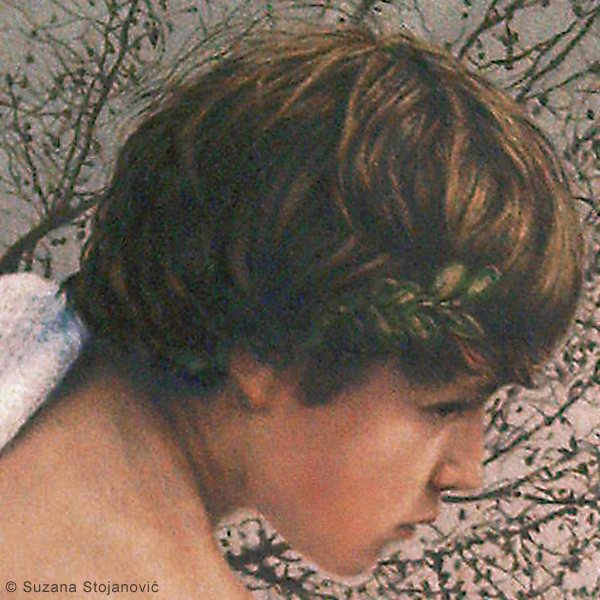 Suzana’s oil paintings on canvas contain different elements of ethical, sensual and symbolic nature, which often come from contact with reality. They are expanse of myths, beliefs, legends, visions, poetry, enigma, fantasy, imagination, dreams, colors and details that testify about the culture, customs, birth and death. Her canvases connect times, they document the people, animals, nature and events that we will be able to compare across them.